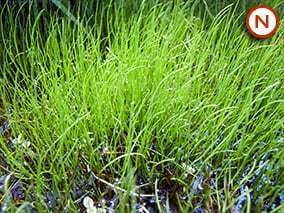 An excellent native oxygenator also known as Rigid hornwort. 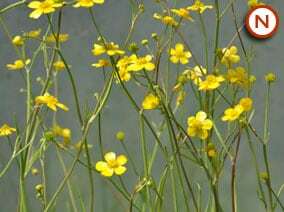 It is a floating oxygenator and has no roots with stems that grow from 30-90cm (1-3ft) that have delicate dense whorls of slender dark green leaves. 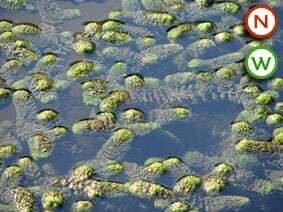 It sinks to the bottom of the pond in winter to protect itself from the cold and ice and may turn black but as the water warms in the spring it will float back up and turn green again. 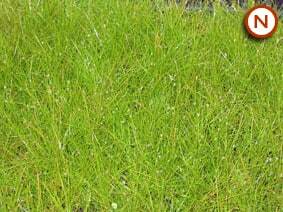 Please note that during winter months to early spring when in stock Hornwort supplied may be greeny-black and can be slightly brittle. It is perfectly healthy in this state and will turn green again in early spring once the temperature warms up. Planting position: Submerged in depths up to 80cm happy in sun or shade. 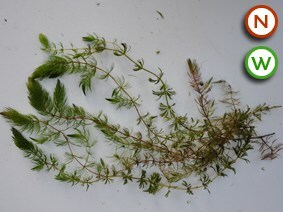 Simply drop bunch or stems into your pond.